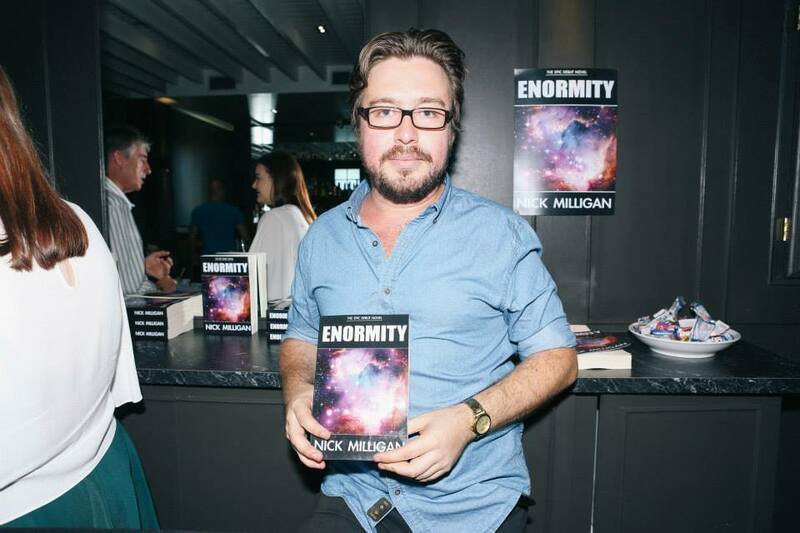 Last Sunday was the official launch of Enormity with copies of the paperback for sale, a signing and a live reading. There was a strong turn out and it was especially great to have my best friends there to celebrate with me. Some people stayed for the duration and took advantage of the antipasto, cheese plates and open bar, while others dropped in to say hi and get a book signed. It’s a mistake to place grand expectations on any event, but I was really moved by the strong turn out. As an entertainment journalist, I’ve spent hundreds of unpaid hours promoting the creative projects of others and it was really nice to see some local musicians come along to return the favour. 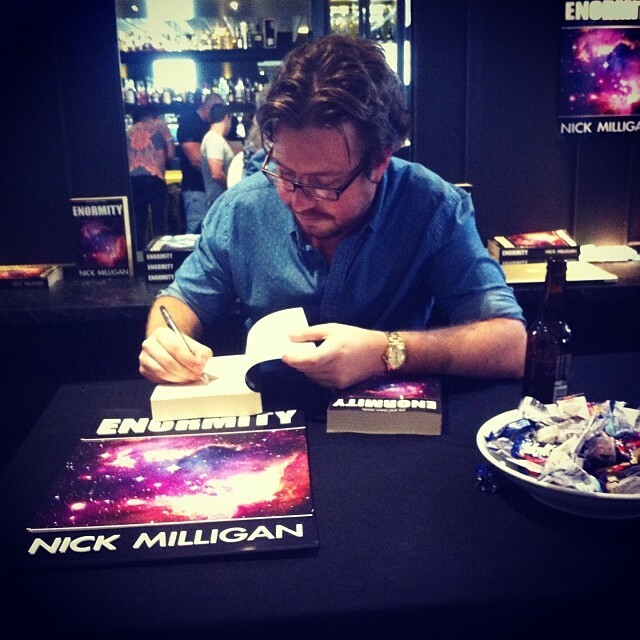 SIGN OF THE TIMES: Yours truly signing some books. Pic by my friend Miriam. The four-hour event flew past – almost too fast to truly take it all in. But as I reflect now, it was a really fun and a fitting way to bring Enormity into the world. Reading a few pages to a crowded room was a new experience, but hopefully something I will be forced to get used to. I’m not sure how my speech went down. There were some polite chuckles. As a first attempt at a book launch, I would have to call it a resounding success. I’m also grateful for the media support from ABC 1233 and Newcastle Mirage.